If you provided Medical & Surgical Eye Specialists with your email address, we will send your exam summary electronically. The email you receive should contain a link to MySecureHealthData.com. Your User Name will be the email address you registered with our office. 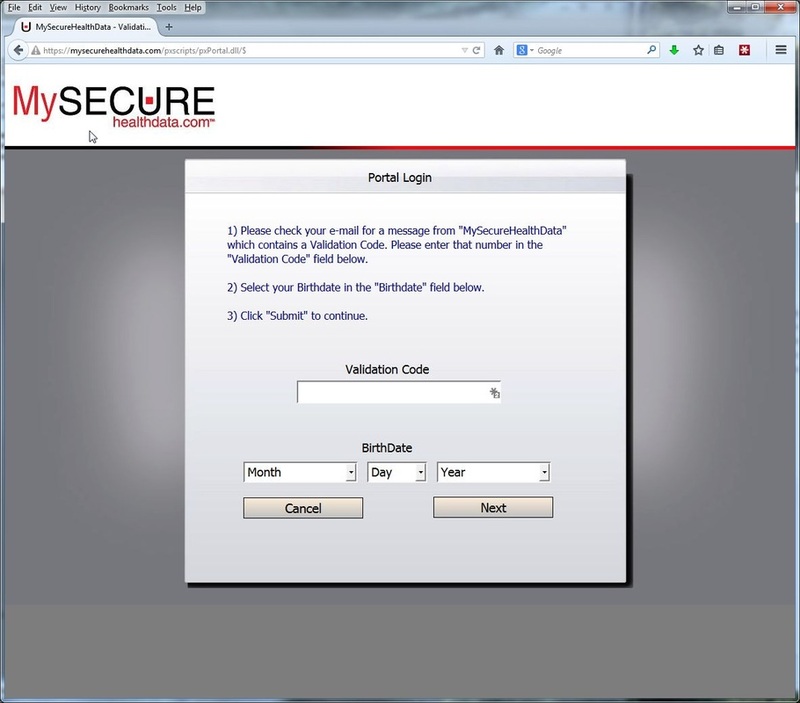 The first time you access the system, you will be sent a validation code by email. Enter that code to verify your email address and enter your date of birth to continue the registration process. You will be asked to select a password as well as a secret question to provide additional security for your online health information. 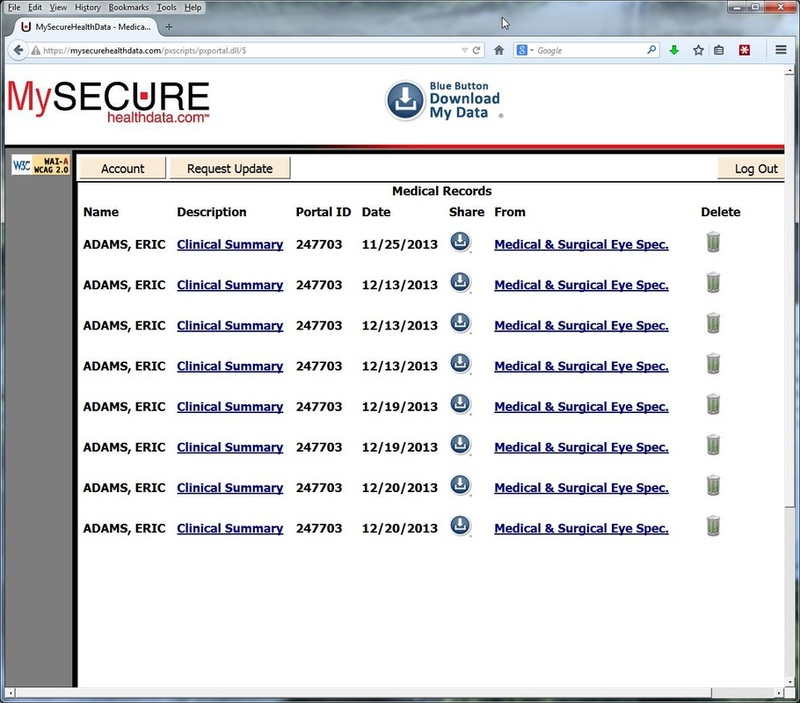 Once you have logged in, you will be presented with a list of available summaries for your office visits. 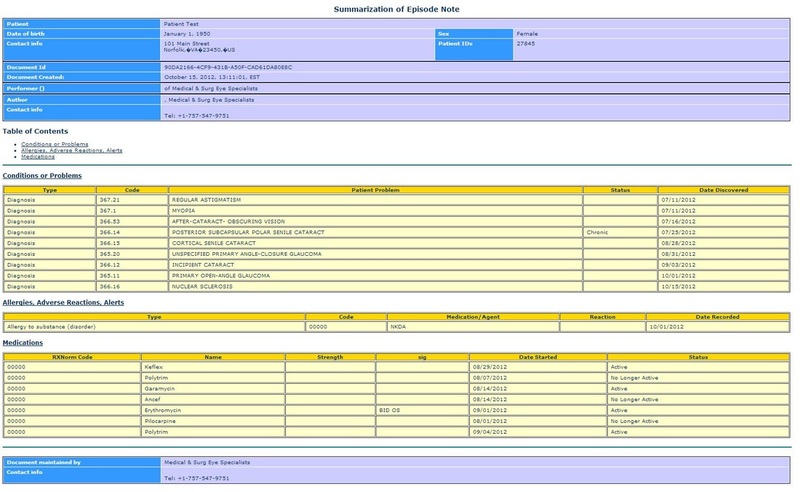 When you select an exam summary, it will show you a list of active diagnoses, allergies and medications. When you click on the "Account" button, you will be presented a list of options for your account. User Information allows you to change your password. Activity History contains a list of logins to your account. Authorized Users lets you give other people access to your account. 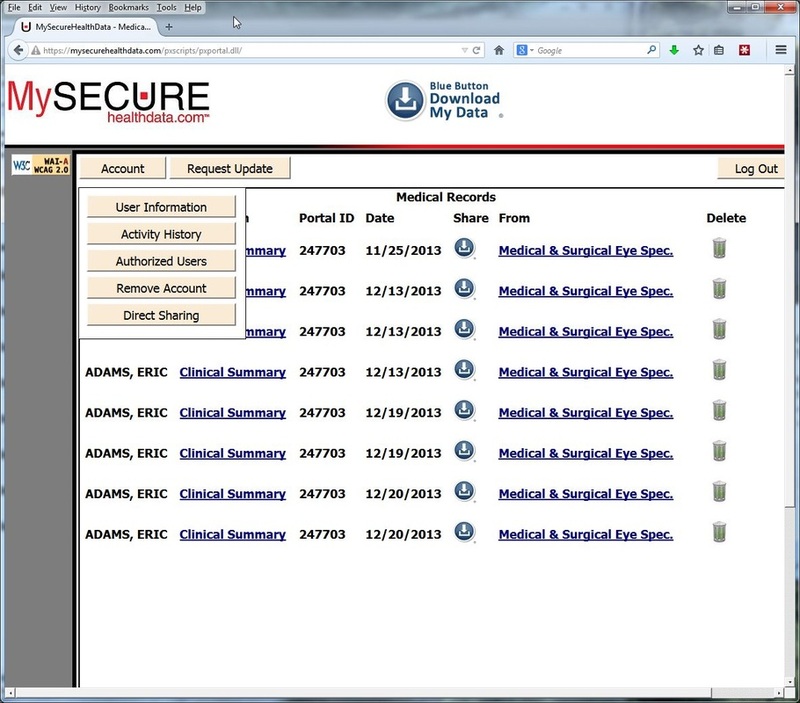 Remove Account deletes your information from MySecureHealthData.com. Direct Sharing lets you send your information to someone of your choosing. It has come to our attention that some patients have been having problems viewing their exam summary. This can happen for a variety of reasons. If either the first or second (validation) email does not show up in your inbox, please check your spam folder or spam filter. Also, there is a known problem with Mac users as well as those with Yahoo email addresses. Patients using Mac computers, iPhones, or iPads to view the documents will have trouble opening the documents using the Safari browser. Try opening the document using Firefox on a Mac computer. Otherwise, open it using Internet Explorer on a PC. For those with a Yahoo email address, please give our office an alternate email address. If you prefer, we can print out the summary and mail it to you. Where is my validation code? A validation code is only sent the first time that information is uploaded to your account. For subsequent office visits, you will receive an email notifying you that new information is available but you will need to use the original validation code. If you cannot find it, please contact our office and we will reset your account. Can I share my email address with a family member? Our portal requires a unique email for each person. If you and a family member share an email address, only one of you may use that email address to sign up for access to our portal. You can easily get an additional, free email address from GMail, Outlook.com, and many other email services. If for some reason you have not received an email for each office visit, sometimes you will receive a separate email for all of them. For example, if we have seen you several times, but we have not had a valid email, you will not be notified about any exam summaries. If we then receive a valid email address, you will receive a separate email for each office visit. Why did I get an email from "c6675"? 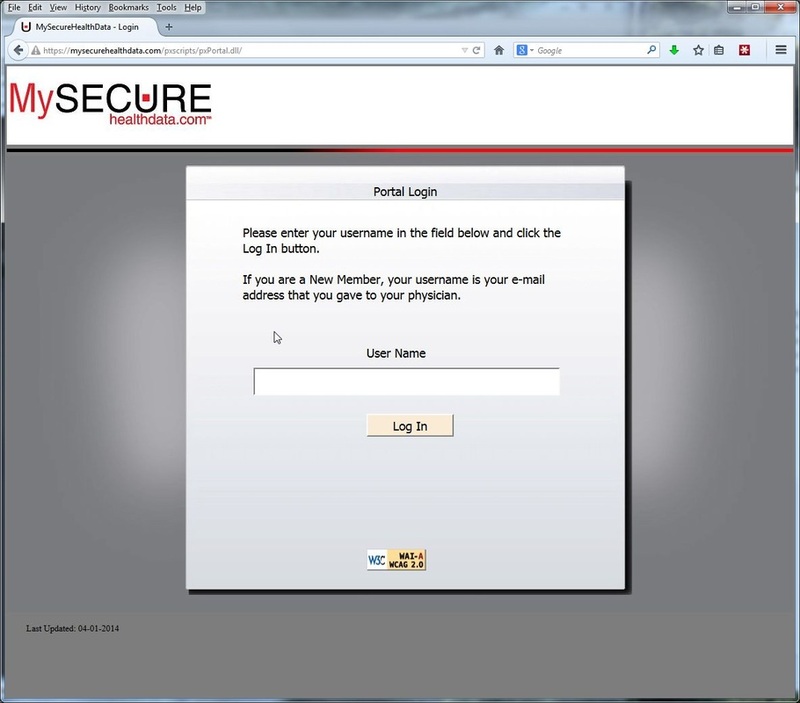 When you get an email from MySecureHealthData.com, the sender will be listed as "c6675". This is our account number with them. "c6675" identifies that the email is from Medical & Surgical Eye Specialists.